This building block is one of the first designs by company founder Kurt Naef (1954) and is corner stone of the Naef Company. 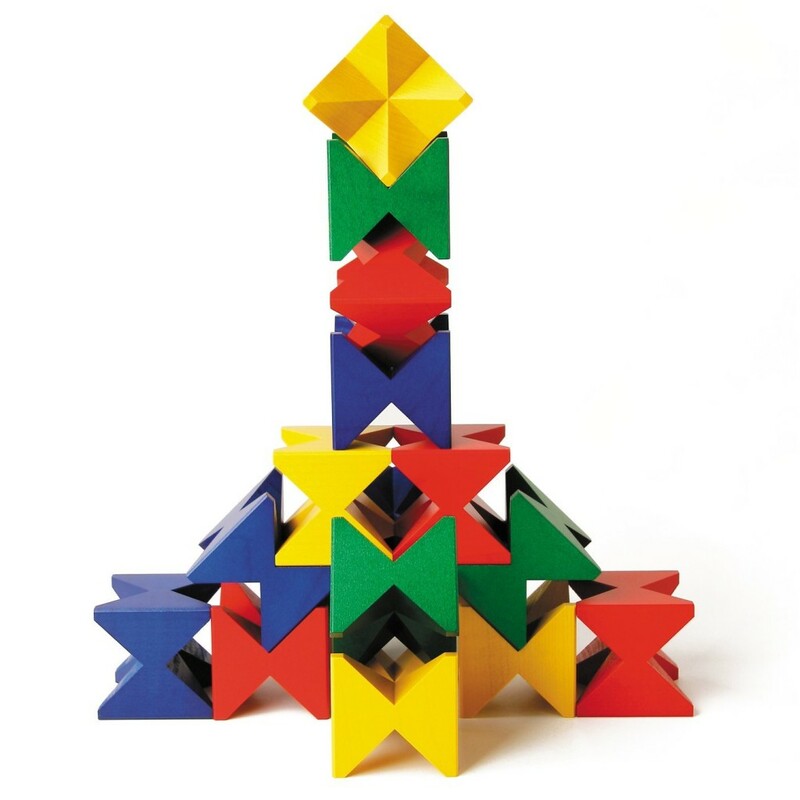 Sixteen building blocks, with eight angled “feet”, can be stacked together to form bridges, towers and much more. Build wider and taller with the more blocks you add. Very sophisticated constructions can be created and a child’s creativity will be constantly stimulated and challenged. For over 60 years the ” Naef ” brand of Switzerland has been synonymous with quality, safety, and customer loyalty.